As amazing as this little friend may be, he is not always the cleanest best friend, if you see what I mean. If you have a medium-long haired cat, you probably already know what I’m talking about. What is the best cat brush for your beast to do the trick and keep your home fur-clean? You cannot prevent your cat from shedding its fur when the seasons change, but you can prevent your cat’s fur from going everywhere in your house or on your clothes. The number one way is pretty straightforward: Brushing your cat regularly. Even if you have a short-haired cat, it will be beneficial for him on a (less) regular basis. 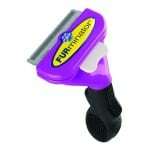 You can click the links in the chart to check out prices and customer reviews and discover what is the best cat brush. 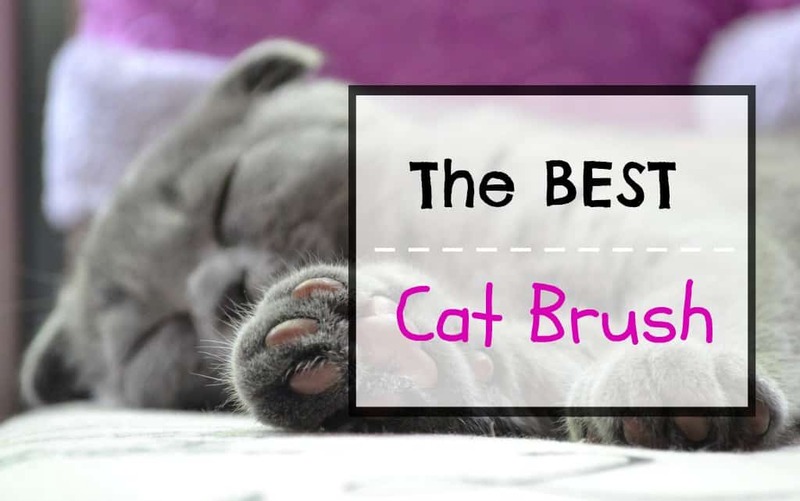 A good brush is an essential tool if you want to take perfect care of your cat’s coat. Young or old, your cat will benefit from a regular brushing. Why ? 5 simple reasons. Medium/long hair: Once every day (or every other day) to prevent major knots and additional problems. FYI: In March-April (the shedding season) you will have to intensify your care. 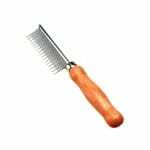 It is fairly easy, just use your fine tooth metal comb every week (or at least once a month). 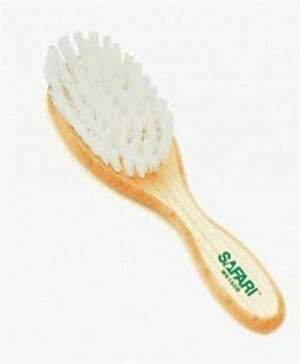 Then, use a natural bristle brush (see below) to take off the dead hair and give it some shine. It might not seem like much but it will make a tremendous difference for your cat. Start with your cat’s back and gently brush in every direction. It’s important to not only go with the movement of the hair but also in the other direction when necessary. You will be surprised how much this will optimize the brushing. However, be careful not to brush too hard on the belly which is a very sensitive area for your little friend. In general, do not press too hard otherwise you would get to the skin and this little one would not appreciate it! A simple metal comb will do the trick to take care of this second step. 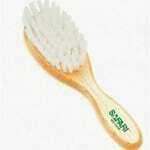 It will enhance the brushing and finish the detangling initiated in the first place. You could complement this step using the very popular FURMASTER but we do not believe it to be essential. The natural bristle brush is the final step which will put back in place the beautiful furrrr. It will give it a smooth and shiny touch. 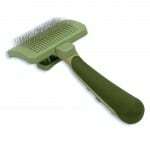 This type of brush is perfect and easier to apply everywhere on your cat. Head and belly are safe, no risk of hurting fluffy, do not hesitate to finish him up real good. 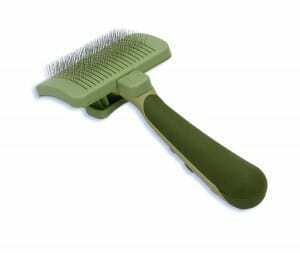 Final Thoughts: What Is the Best Cat Brush for Cats? You do not need a crazy amount of brushes to take good care of your cat. If you want to be thorough, 1-2 simple brushes will do the trick. If you have a short-haired cat, one good brush could do just fine. In any case, we hope you understood the importance of brushing your cat. We also hope that you found the perfect brush for your little friend. Thank you for following us on Fluffy Kitty! Don’t forget to check us out on social media. Please check out our homemade pawesome inforgraphic! 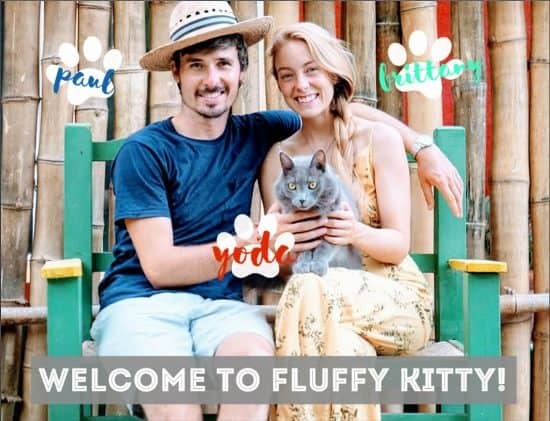 Next Post Top 10 Cat Breeds of 2019: What’s the Best Cat Breed for Me? I will definitely have to try brushing my cat’s hair in the opposite direction as you suggested. I brush him every other day, he is a short haired cat, but still, I find a lot of his hair on my clothes and furniture. I really need to start brushing my cat every day because she has knots quite often. Until now I listened to the advice of my friends and brushed only a couple times a week. Hi there! Thanks for dropping by and sharing with us 🙂 I’m glad you managed to brush your cat, it’s not that easy!